"There are so many commercial entities out there, companies collecting vastly more data that don't care about their relationship with Facebook, and Facebook has no accounting for that data whatsoever," Kogan said. The data scientist who surreptitiously harvested information from millions of Facebook users and allegedly sold it to Cambridge Analytica is firing back, arguing it's disingenuous for the social media giant to claim it was blindsided by his actions. 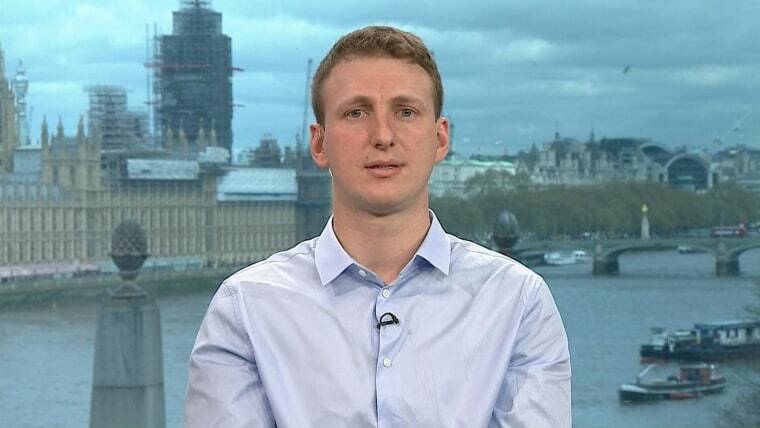 "I think it’s pretty powerful PR spin, but it’s exactly that," said Dr. Aleksandr Kogan, the Cambridge University researcher vilified by Facebook over the company's biggest-ever privacy scandal. "I think what folks need to understand is this was business as usual as far as Facebook developers went." He said many apps harvested data in the same way. "There are tens of thousands of apps that are doing this, and from our perspective, we're doing something really normal," he told MSNBC's "Morning Joe." Kogan's quiz harvested information from 87 million Facebook users, data that he passed on to Cambridge Analytica, the data analysis firm later hired by Donald Trump's 2016 presidential campaign. Facebook has said Kogan acted unethically and breached its terms of services by claiming he was using the data for academic research and then selling it. Kogan said he didn't believe he was doing anything wrong — adding if he did, he wouldn't have created the quiz app at the center of the scandal because he wouldn't have wanted to jeopardize his relationship with Facebook. "There are so many commercial entities out there, companies collecting vastly more data that don't care about their relationship with Facebook, and Facebook has no accounting for that data whatsoever," he said. "So trying to say, like, 'Hey, Alex is this outlier,' is stunning a little bit, until you realize it's PR spin." "That's a big issue, and I think people have a right to be upset. I'm upset," Facebook CEO Mark Zuckerberg said earlier this month in congressional testimony. "What's amazing is if you go and look at Facebook apps right now, many of them have language to say we can transfer and sell your data. And I'm talking about some of the biggest companies in the world, and Facebook does nothing to police this." But Kogan on Monday placed the blame back on Facebook, which he said has allowed similar scenarios to happen with other developers. "What's amazing is if you go and look at Facebook apps right now, many of them have language to say we can transfer and sell your data. And I'm talking about some of the biggest companies in the world, and Facebook does nothing to police this," he said. "So for them to say this is their policy, and really feel upset, is highly duplicitous in my mind." Later Monday, Kogan told NBC's "Today" Show that many current third-party Facebook apps have language in "direct contradiction" to Facebook's policy. "It's a bit like if you work in a building, and everybody brings in a dog, and you bring in your dog and it pees somewhere. And they come to you and they're like, 'Hey, how could you bring in your dog? We have a clear no-dog policy.' And you're just looking around, saying, 'What about all the other dogs?'" he said. He also said Facebook's policy is presented to developers in a similar manner to how its terms of service are presented to users: "hard to find, easy to miss." Still, Kogan conceded he had violated the policy. "At the time, we didn't think we were doing anything wrong," he said. "That was just the normal business as usual practice. I think right now, absolutely it's viewed as wrong, now that we know how people feel about it." In a statement, Facebook said Kogan first approached the company in 2013 to do research using anonymized, aggregated data, and then had a consulting contract with them in October 2015. "At no point during these two years was Facebook aware of Kogan’s activities with Cambridge Analytica," said Ime Archibong, vice president of product partnerships, in the statement. "It was not until December 2015 that we first learned Kogan had broken Facebook’s terms of service by selling to Cambridge Analytica Facebook information collected via an app he built. We quickly shut down his app, demanded he delete all the information (which he confirmed in a signed statement he had) and ended any research work with him. In hindsight, we should have followed up to confirm he had deleted the information, as well as notified the people impacted — both of which are now happening." Facebook also cited multiple lines from the platform policy in effect during the summer of 2014, when Kogan's app was active, that he violated — including "Don't sell, license, or purchase any data obtained from us or our services." Kogan, who will be questioned by U.K. parliament this week, first broke his silence about the controversy on Sunday, telling CBS's "60 Minutes" that Facebook had unfairly singled him out. On Monday, he warned Silicon Valley's entire business model — "grab as much data as we can and use it for whatever purpose that we want because that's the way we sell ads" — was problematic. "I think they have a really big challenge ahead of themselves," he told MSNBC.